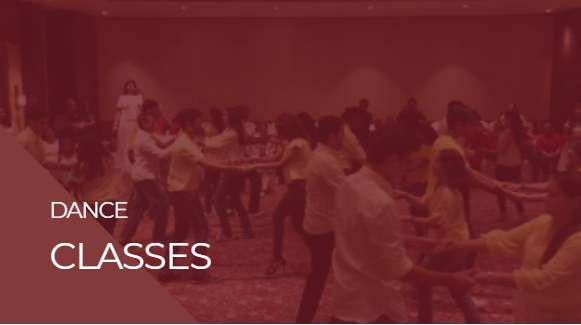 VR DanceSport is the best dance class in Mumbai specializing in Latin Ballroom dance forms like Salsa, Bachata, Sensual Bachata, Jive, Cha Cha, Rumba, Waltz, Tango, Samba and many others. Our founder, Rajeswari Vaidyanathan, is a visionary and believes in nothing but the best. thus, making us different and enabling us to train our students at a much faster pace and with better end-quality, thus making it finally lighter and cheaper. There is strictly quality control among all her instructors which is personally done by her, thus standardising the teaching process and making us the best there. Apart from regular group classes for beginners and professional, one of our most sought-after offerings is “Gift a Dance” where you can gift a lesson to your loved one over a romantic candlelight ambiance, cake or even wine., thus making the day very, very special. Wedding choreographies and sangeet ceremony for the to-be newlyweds leave a lifetime of memories, given our expertise of making beautiful heartwarming easy-to-do steps but with the illusion of complexity. Most popular Club Dance form, originating from Cuba. We teach the L.A style. A North American Dance of pure fun. Brother of Rock N Roll and Swing. Once you start you cant stop. One of the easiest and the most popular of the Club Dances. Soothing and groovy make it a perfect dance for distress. A Cuban Cheeky dance form. 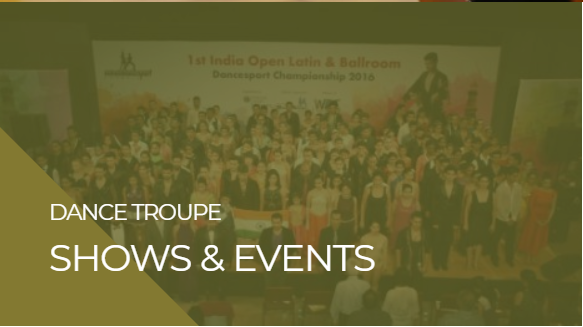 Changes you as a dancer, being part of the DanceSport category. A fun dance at the social floor. The Argentine Tango is the most meditative of the dances, where the embrace takes you to a place of bliss. We teach the Ballroom Tango too! Bollwood Tadka to the Latin forms. Fusion of both worlds to give you a different experience! No partner No Problem ! Dance it alone as it strengthens your moves, techniques and posture and discover a new angle of independence! The Drum beats, will not let you stop dancing. Originating from Brazil this is the peppiest of all, signifying its mood of festivity and celebration. The Dance of Love and technically one of the toughest! Again a Cuban form, steps are easy but the feel lies in its depth, that needs mastering. Addictive! 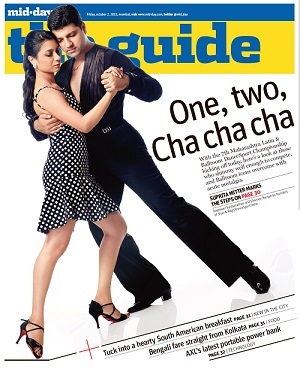 Dancing has become a style icon in India. Every person has some different style of accepting dance in their personal life, Some use for entertainment, career, health therapy and many more. Being technically trained, we are able to provide you with a focussed learning environment. While you have fun you will be able to transform yourself into be better dancer in a shorter span of time. The training process can be totally customized to meet your requirement. We assure you to exceed your expectations when learning with us. 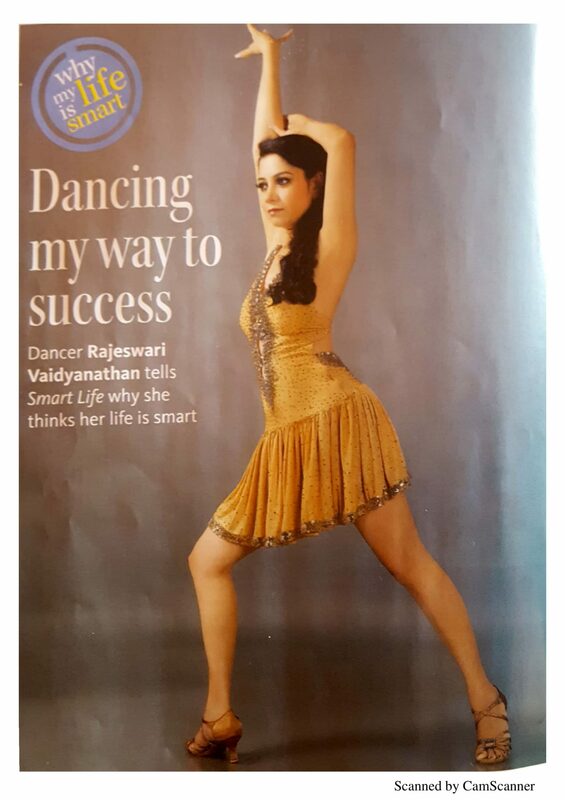 In VR DanceSport, our founder Rajeswari, strongly believes that to be truly the best, it is mandatory to be intensely trained and updated. 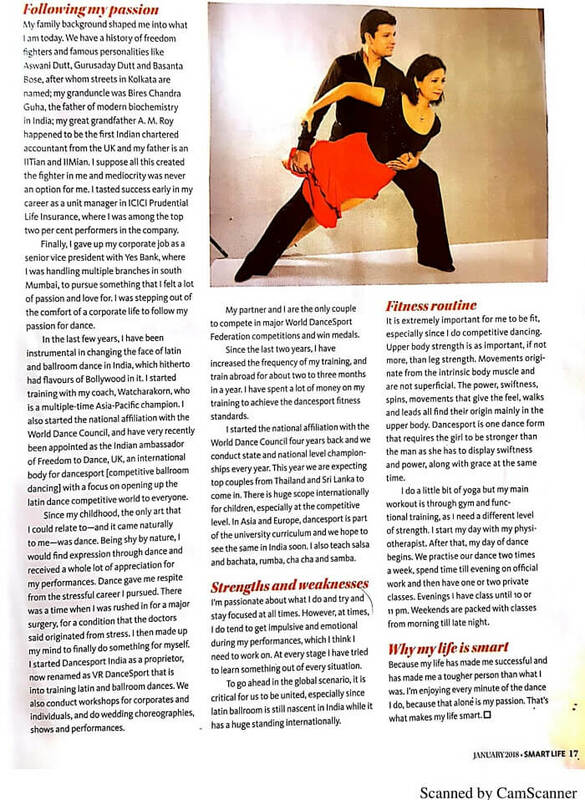 She and her partner traines atleast 3 months in a year with the Top Asian and European coaches and World Champions ( the only couple in India to do so), to be able to bring in the best to you. This is the very reason, they not only claim, but are able to bring out the best from their students in the shortest time, thus giving you your money's worth. Again, being a true visionary and a leader, Rajeswari herself is involved in the training of the students. She gives personal attention to each and every student, even in the group classes and therefore, does not take beyond 10-15 people in a beginner batch. Her instructors are equally trained and under her continuous supervision and guidance to maintain the standards. She doesnot sit back, only training and expecting the students to dance, but herself shows them the way through her prolific dancing. In VR DanceSport while we teach you new steps, we also focus on transforming you into a better dancer. We lay your basic foundation on spins, musicality , movements, etc so strong that it lives with you even if you take a break for years. 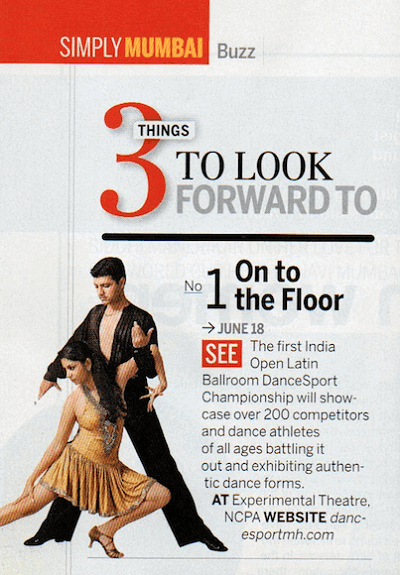 We believe that on the floor to show off, its how you dance matters as much as fancy steps. Studio Dancamaze – 508, A wing, Samartha Aishwarya, Above Nature’s Basket and Marks & Spencers, Opp. Highland Park, Lokhandwala, Andheri West. Copyright 2018 - VR DanceSport - All Rights Reserved.